May HandsOn Always Be With You ! As many of you may know by now, I am excited to announce that I have been selected as one of the participants in the 2018 Z Smith Reynolds Sabbatical Program ! While this "major award" (I think they should have provided us with leg lamp key chains as part of the program) is certainly exciting to me personally, I am just as excited to see what this opportunity provides my board and staff in terms of building the capacity of HandsOn into the future. As core partners in our work, I want to both reassure you that our programming for the summer should not be interrupted by my sabbatical in any way, as well as to ask for your support of the staff and board members who will be shouldering new responsibilities starting in June. I will be forever grateful to the support that Kathy and Brittney, as well as Andrea Hulighan, our board chair, have provided that is making this sabbatical possible. A good example of the opportunities that this sabbatical brings to HandsOn is this very column in our newsletter. Every month for more than an decade, I have written this column and curated the newsletter's content. And as we've heard from many of you, this newsletter is extremely valuable--so it was apparent to us that having the newsletter also take a three month sabbatical over the summer was definitely *not* an option! Instead, other members of our staff will be curating the content while I'm gone, and you'll get to hear different board members share their thoughts in this space as "guest bloggers" in June, July, and August. This is just one example of how the sabbatical is providing us the chance to rethink how the work of HandsOn gets done, spurring us all to get creative in how *we* can be more effective and efficient in our work going forward, even after I come back to HandsOn at the end of August. There are other exciting things going on here as well. By the end of this week, as a birthday present to me, our new website should be live! Yay! A looooong time in coming, we were focused on making sure the new site was "right, rather than right now." Does this mean it will be perfect in those first days and weeks after launch? No, probably not. But we look forward to hearing your feedback and we will continue to work over the summer to make tweaks as needed. We're most excited about the increased usability of the site of our partners--you should be able to register multiple people from your organization for a class or event AT THE SAME TIME, be able to instantly view if your Supporting Partnership is up to date when you register, and view a map of the location on the registration page. (Note: if your Supporting Partnership is not up to date, we'll be letting you know soon, and you will no longer be listed on the new site.) It'll be a whole new world! (Cue music!) As part of the launch, we'll be welcoming Melissa Hill Dees, a former staffer at a HandsOn affiliate in Alabama and currently the Vice-President of Avviato, the company that develops HandsOn Connect, to our area for some in-depth training of our staff and key partners. If you want to learn more about how to best leverage HandsOn Connect for your own organization, we welcome you attend a Partner Training with Melissa on Tuesday, May 15th from Noon to 2 pm. The training is FREE and we will also provide lunch ; however, space is limited and you MUST CALL US AT 336-724-2866 to register to ensure your spot! Online registration won't be available for this event, since we will be transitioning our registration system this weekend. Lastly, I want to thank all of you who attend our 2018 Governor's Volunteer Service Award breakfast on April 25th! We've heard nothing but great things from you about our new venue at Bridger Field House, and, of course, about the quality of our winners and what they shared with us at the breakfast. We welcomed a record crowd of 250 people, and we look forward to this event continuing to grow every year. Many thanks to Truliant , our Supporting Sponsor for the event, along with our co-hosts the United Way of Forsyth County , Salem College , and The Winston-Salem Journal for all they did to make this event such a success! By the end of the month, I will be on sabbatical, but will return at the end of August to co-present one of my most favorite programs, Women's Emerging Leaders . Are you interested in taking the next step to improve your nonprofit career and boost your personal leadership potential? If so, we'd love for you to join us! There is an info session coming up later this month, and the applications are due at the end of June. This program has been such a transformational experience to so many of its past participants that a core group of alumni are thinking about ways to reconvene on an ongoing basis. Exciting times, indeed! Enjoy your summers, and you'll from me again in September! Our partnership with the United Way of Davie County and Davie and Davidson Community College's Small Business Center Network continues with another workshop geared towards local nonprofits for whom attendance at our Forsyth County workshops is a barrier. While registration is open to any in our network, priority registration is given for this workshop to those organizations serving Davie County. In this workshop, we will share best practices and creative ways to create win/win situations for you and your employees, while meeting the needs of those you serve. Because we all know that energized and engaged employees increase the capacity of any organization. Our learning objectives include: how to effectively recruit and orient employees, why employees choose to stay with an organization, and why recognition is crucial to an effective employee program. This session will be taught by Abby Monclova . Abby has over 13 years of experience in human resource management, with a strong background of working and volunteering in local nonprofits. COST: FREE! Priority will be given to Davie County nonprofits. HandsOn NWNC is pleased to partner with the North Carolina Center for Nonprofits to offer you the fourth webinar in their “Walking the Talk: Equity, Diversity, and Inclusion in Nonprofits” series. Does your organization want to learn more about how to effectively include members of the LGBTQIA community? Does everyone in your organization understand what all those letters mean? Could your nonprofit use support with best practices and creating an affirming culture for LGBTQIA colleagues and community members? Discuss and learn more about these questions with our qualified and experienced instructors! 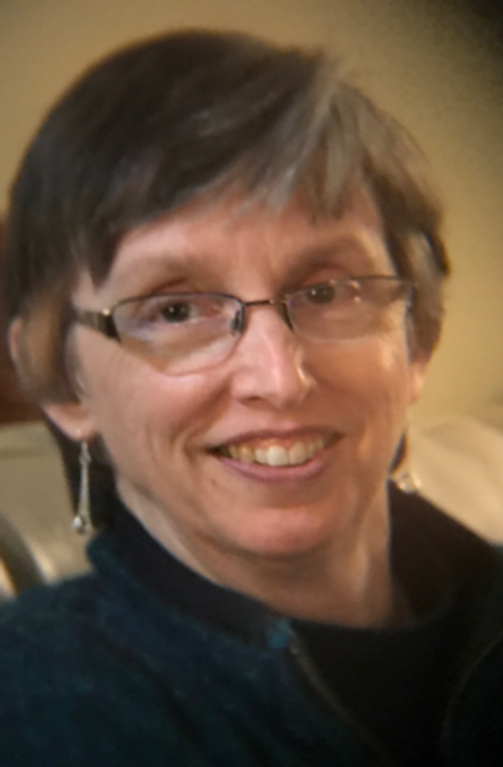 The class will be taught by Susan Brittain , a local consultant with deep experience in both the social service nonprofit and educational sector. She holds a Master’s degree in Education/Counseling from Wake Forest University. New Spots Available in Our Popular Building Capacity for Measurement Program! Three Spots Available Beginning August/September, 2018! The nonprofit sector is increasingly under pressure to show meaningful results, but organization often don't have the right tools to adequately measure their results or are intimidated by the evaluation process. Building Capacity for Measurement provides nonprofits with a consultant who will use group training, individual coaching, and technical assistance to help the organization design a simple, effective measurement system for a particular program or activity, as well as a process that can be used to embed the measurement system into the organization's on-going operations. Applications are accepted on a rolling basis. Uniform Mart. Learn more about innovative efforts that are bringing non-profit, for-profit, faith-based and community organizations together toward common goals and outcomes in Housing & Clothing. More details are online ; no registration needed, just come! Board Diversity: Moving from Talk to Action, offered by the Rural Advancement Foundation International, May 14th, Noon to 1:30, The Enterprise Center, FREE! Rick Moyers is an independent consultant and a nationally recognized expert on the governance and leadership of nonprofit organizations and the role of philanthropy in building nonprofit capacity. He will discuss current trends in board composition and the importance of diverse board representation as well as engage participants in conversation about how to address board diversity in their own organizations. The class is free, but registration is required. Lunch is included. "Better Meetings," Third Space Studios, June 8th, Research Triangle Park, $125-$150, All Day. Are your meetings boring? Unproductive? Lacking focus? Without a clear leader? The folks at Third Space Studios, a HandsOn Consulting Partner, feel you! But they also know that meetings can be fun, interactive, impactful, and meaningful. In a nutshell: we all know meetings can be better. That's why they hopw you'll join them for a full day of training, conversation, and activity designed to help you plan and facilitate better meetings. Space is limited, so get your ticket today! Visit their website for more details and to claim your spot. This year, don't miss this exciting opportunity to join Kathy--and thousands of other leaders and changemakers from across the globe--to collaborate and ensure the volunteer sector continues to grow and innovate in this rapidly changing world. NEW THIS YEAR! Members of the HandsOn NWNC Network (this is *all* of you!) will receive an additional $25 discount ON TOP OF $150 discounted early-bird pricing! Register using this link to use the special code. Please let us know if you have any questions about conference, and we hope to see you there! Nominate an Experienced Leader for a "Seven Over Seventy" Award! Know a special person over the age of 70 who’s made a significant impact in our community? Please plan to nominate them for the third annual 7 over Seventy awards today! Nomination period closes May 15th! Kaleideum Seeks Director of Facilities and Exhibit Maintenance! Kaleideum , a HandsOn Supporting Partner, is looking for an experienced manager to fill this full-time position, which will lead the facilities and exhibit maintenance staff to provide educational and satisfying experiences for visitors at both the Kaleideum North and Kaleideum Downtown locations. This includes coordinating facility maintenance, repair, cleaning, and security of the buildings and grounds as well as installing, repairing, and fabricating exhibits. This is a physically active and team-oriented role. For more details, please review the full position description. To apply, please submit a cover letter and resumé to Elizabeth Dampier. No phone calls please. Review will begin May 22nd! Applications will be accepted until the position is filled. Crosby Scholars Seeks Part-Time Administrative Assistant! Crosby Scholars Program, a HandsOn Supporting Partner, provides college access services to students in grades 6-12 in the Winston-Salem/Forsyth County school system. Serving more than 11,000 students per year, the program is available to all students who submit an application and make a commitment to be good citizens in their school and community, to remain drug-free and to strive for academic excellence. Students must attend Crosby Scholars Academy, participate in community service, and uphold the terms of the Crosby Scholars Partnership Agreement. This part-time position will provide administrative support to the Program’s middle school division. Duties include assisting with mailings, designing reports and generating lists to support programs and events for the middle school program, data entry, ordering supplies for special programs, preparing certificates and reminders, and coordinating Crosby Scholar Academy and other special programs. Some public speaking required. For more details, please review the position description. Candidates should e-mail a resume to Tara Stokes, Middle School Coordinator. The position will remain open until it is filled. is a key source of continuity in their year-to-year operations. You'll find the full position description on their website. To apply, please email a cover letter, resume, and references by May 31st! Winston-Salem Street School Seeks New Executive Director! The Winston-Salem Street School is a private, nonprofit alternative high school serving the at-risk youth of the greater Winston-Salem area. The Street School seeks to meet the needs of struggling students, many of whom were expelled or dropped out of traditional schools due to academic or behavioral obstacles. Since 2004, the Street School has grown from a single classroom school with a small number of students to a thriving school serving 60 to 80 students each year. Over 170 students have earned their high school diploma at the school with numerous more on track to graduate each year. The Executive Director holds primary responsibility to ensure that the Winston-Salem Street School fulfills its mission and belief that a quality education is the most effective way to transform many disenfranchised members of our society into productive citizens. The Executive Director will embrace the school’s founding principle of a commitment to Jesus Christ and His example of compassion for the poor and forgotten people among us. The passion to serve as modeled by Jesus Christ will be the motivation and example for all the work done through and by the school. For more details, please review the full position description. Aetna Foundation to Support Healthy Communities! The Aetna Foundation is dedicated to promoting wellness, health, and access to high-quality healthcare for everyone. The Foundation's Cultivating Healthy Communities grant program is intended to help local communities become healthier places to live, with emphasis on projects that benefit underserved, low-income, and minority communities. Grants are provided to nonprofit organizations and government agencies committed to improving the health of their participants by focusing on activities that align with at least one of the following five domains: Healthy Behaviors, Community Safety, Built Environment, Social/Economic Factors, and Environmental Exposures. Applicants can request from $50,000 to $100,000 for projects lasting between 18 and 24 months. Organizations with annual operating budgets below $250,000 are not eligible to apply. Stage 2 applications are due June 15th. Visit the Foundation’s website to download the request for proposals. Facebook Providing Grants to Organizations that Support Efforts By Teen Leaders! The Facebook Community Leadership Program is designed to empower community leaders from around the world who have built meaningful communities offline and online. The program includes a grant of up to $50,000 to be used for specific community-building initiatives, as well as world class training on community organizing and exclusive access to a global network of community leaders. Facebook is looking for nonprofits to nominate extraordinary young leaders ages 14-19 with a promising track record of leading communities that have positive impact, build common ground and foster in-person connections. Nominations are due May 14th! Value of A Volunteer Hour Increases to $24.69! ﻿The value of a volunteer hour continues to rise, up to $24.69 in 2017; the most recent state-specific figure for NC is $23.41, a 1.8% increase. The figure is a 2.3% increase from 2016 and is part of an overall, nearly 52% increase in the value of volunteer hours since 2001, according to data from Independent Sector. The value of volunteer hours has grown every year during that span. The figure is based on approximate hourly earnings of all production and nonsupervisory workers in private, non-farm payrolls. The average is further upped by 12% to account for benefits. Matt Perdoni, counsel and director of business development for Independent Sector, said that — while not necessarily a driver of recent value increases — pro-bono services from lawyers, communications specialists, and other professionals have become increasingly common. Learn more on the Independent Sector's website. ﻿Over the past two years, many of you have taken advantage of the salary survey results that we make available to our network for review and check-out. In an effort to make sure that data remains timely (and useful), the Center is once again pleased to partner with Columbia Books to conduct a statewide compensation survey for North Carolina nonprofits. Results from the survey will offer a comprehensive view of salaries and benefits for more than 120 job positions by title, organization type, budget, and staff size. You'll be able to compare your organization's staff salary levels to those of similar organizations, and set fair and competitive compensation to boost hiring and retain exceptional employees. What Happens When Your Facebook Page Gets Hacked? Last month, hackers compromised the Facebook page for Bookmarks , one of HandsOn's Supporting Partners . They reached out to us because they wanted to make sure that others in our network learned from their experience. Jamie Rogers Southern, operations director noted that the hack and its aftermath have "turned into quite a learning opportunity! We hope that our experience will help others prepare and maybe avoid such stress." Make sure anybody with admin access to your page has an updated e-mail address and phone number in Facebook. In their case, the admin that was hacked had an outdated e-mail address and phone number, which made reinstating their account (and proving their ID) much more difficult. Set up extra security measures on your account: Get alerts about unrecognized logins so you'll be aware if your account is used on another browser or device. Choose 3 to 5 friends (who are not admins of the same page) to assist with the reset process if you get locked out. Use two-factor authentication that requires you log in with a code from your phone as well as a password. Clearly communicate any account changes with your staff. Make sure that somebody knows if they receive a message that their admin privileges have been revoked that they immediately check with other admins. You don't want employees to ignore this e-mail! File a report immediately with Facebook and have every admin on your page do the same. Identify which account has been compromised and be clear on who/what should be reinstated and include any other details that would help Facebook assess and fix the situation. When Facebook reinstated their roles, they unfortunately only reinstated them to positions like "analyst" which didn't allow them to perform the necessary tasks to secure their page. They needed to be reinstated as admin to kick the hacker out! Spread the word: if possible, post from other personal accounts that the account has been hacked. This will make your followers (who hopefully follow the page) aware in case they see strange links on the page. Get employees to share on their accounts as well. Check your bank accounts: If the account that was hacked has stored credit cards for buying ads or fundraisers, notify your credit card company. Because they had set up fundraisers through Facebook, they also alerted their bank to be on the lookout for suspicious activity. Let your followers know that your account was hacked (in case they saw questionable activity) and thank them for their patience. Assess the damage and clean up your page. Check contact information and other profile information, pictures, posts, and messages and delete all content related to the hack. Review your page followers and people who have liked your page to ensure people who hacked your page are not still associated with your account. They looked through activity for the past 24 hours and discovered several "questionable" profiles who had started following them in that time frame and then banned them from their page. We hope that this unfortunate event helps others in our network in the future!